There is some big news coming out of the Junior Eurovision HQ: It has been officially confirmed that Italy will NOT host the Junior Eurovision Song Contest 2015. This comes after weeks of speculation — ever since Italy won the 2014 contest — that they would. In the statement issued on the Junior Eurovision website, the JESC Executive Supervisor, Vladislav Yakovlev, said that the EBU had been in conversation with RAI over the last two months, but “unfortunately they are not in a position to hold the competition in Italy”. No further reasoning has been given beyond that. This confirms the news that had originally been broken by Bulgaria’s Telegraph newspaper, which reported that the EBU had been told by RAI that they could not decide where to host the contest and that the broadcaster had financial worries too. What is different to the Bulgarian report is the fact that the EBU have said they are speaking to two countries about hosting the contest. Whilst Bulgaria is more than likely one of them, it’s not yet clear what the other country is. Could a return to Malta be on the cards after the overwhelming success of the 2014 contest? Or could the contest go to Armenia who have also proven they can host and who finished third this year? I hope that Bulgaria steps up to host the JESC 2015 show!!! Also, if they’re hosts, Macedonia can easily come back (those are neighboring countries). Now, if they can’t do it, they should give Georgia, Sweden, Serbia or Croatia the right to host it. Can confirm officially that BNT have received an invitation to organise the contest and at least on paper, the TV leadership are delighted and intend to accept that responsibility. Arena Armeets officials also confirmed in a private conversation that there has been inquiry in the availability of the arena for November and December. Still I find it humiliating … not every singles Italian is unable to speak proper English so I do find some prejudice in this decision. Is EBU also denying Italy the chance to host the ESC show if they ever get to win? 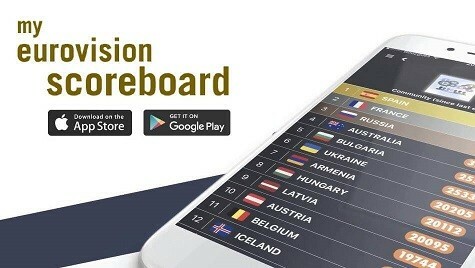 why did Italy take part in the first place? and why did the EBU juries gave them the victory?? Because the public voted for Bulgaria the most and the stupid “winners” juries gave 12p to Italy and only 4 pts to Bulgaria + San Marino ignored Bulgaria and gave 12p to italy (they used a jury as well). What does this mean if Italy were to win ESC? Would they be able/willing to host? Bulgaria would be good. Or maybe Georgia, or Azerbaijan or Israel if they return! I’ll look up some good venues in Bulgaria to host JESC 2015. Ok. I’m back. I found some good venues in Bulgaria to host Junior Eurovision 2015. There’s another venue in Varna that can hold 5,000 people for concerts. I think the EBU give the host to Bulgaria now! They should show us, that they can organize an show like JESC! Second time in Malta will be boring! But I hope Italy take part in JESC 2015! Hope more western countries will join JESC like Germany (Really hope ZDF debut), Iceland and Irland! Also hope that Czech Republic and Hungary debut! And Danmark, Norway and Spain should return to JESC 2015! I hope that JESC 2015 will be bigger as JESC 2014 was! What about Armenia? They already showed that they can host JESC plus they got a good result. Yay! 😀 BULGARIA!!!!!!!!!! 😀 😀 😀 😀 😀 Not Malta again, that would be boring! its not worth it .. average show .. i cant even think of a winner from it i ever liked other than ukraine 2012..
I’d be very happy if the Junior Eurovision Song Contest went back to Malta. As they staged a fantastic show in November. Could Ireland host it in their debuting year? That’s a shame, really. Sorta makes you wonder if they would even want to host the main ESC if they win, I’m sure JESC is much less expensive to operate, but w/e. Give it to Bulgaria, good opportunity to showcase a country that’s never really been showcased before.